19. 08. 2018 13:53 18 (8 - Tänak Ott / Järveoja Martin): I don't know about championship challenge, but it is nice to win this specific event. 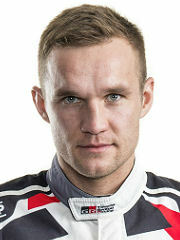 Seb (Ogier) was pushing so hard and it was hard to keep up with him. But at the end we won so that is good. 19. 08. 2018 11:50 17 (8 - Tänak Ott / Järveoja Martin): No worries. We are on asphalt so five points is definitely not possible but we will try our best. 19. 08. 2018 11:39 16 (8 - Tänak Ott / Järveoja Martin): Very clean, I saw from the beginning the lines were far away from the road, there was everything on the road from trees to bushes! 18. 08. 2018 19:05 15 (8 - Tänak Ott / Järveoja Martin): It was a mega fight today with Seb, we were pushing really hard. I must say I was not feeling too comfortable on the first loop. It is a big shame for Seb. 18. 08. 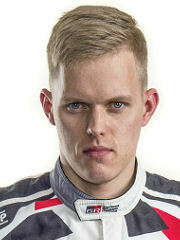 2018 18:12 14 (8 - Tänak Ott / Järveoja Martin): There is nothing about pushing any more. In the tricky places I was just being careful and on the smooth asphalt I can just push. The balance is a lot better than it was earlier as well. 18. 08. 2018 16:50 13 (8 - Tänak Ott / Järveoja Martin): We had a puncture on the previous one actually. On this stage it was a bit distracting at points because I saw Seb so close to me and I backed off a little bit. 18. 08. 2018 16:45 12 (8 - Tänak Ott / Järveoja Martin): I had a good clean run, the feeling was better. There was no risk, but I was more happy. I'm happy to go for the long one now. 18. 08. 2018 12:50 11 (8 - Tänak Ott / Järveoja Martin): Our main target this afternoon is to find more balance and have another good loop. 18. 08. 2018 12:08 10 (8 - Tänak Ott / Järveoja Martin): We had a lot of wrong information from our gravel crew. 18. 08. 2018 18:04 9 (8 - Tänak Ott / Järveoja Martin): I don't know, I don't really know what you're talking about. I don't think the missing front aero part will make much of a difference. 18. 08. 2018 10:10 8 (8 - Tänak Ott / Järveoja Martin): For sure it is dirty, but the rhythm was not great and I felt a bit stiff. 17. 08. 2018 18:49 7 (8 - Tänak Ott / Järveoja Martin): I can't complain. This morning it didn't feel perfect but still the times were there, obviously the car had the speed and it was just a case of getting it more comfortable to me. I'm actually quite enjoying it now. 17. 08. 2018 17:04 6 (8 - Tänak Ott / Järveoja Martin): Still faster than Seb! The conditions are so, so tricky. We don't want to do any mistakes. In these conditions it is tough to drive. 17. 08. 2018 16:09 5 (8 - Tänak Ott / Järveoja Martin): This one is like a normal German challenge again, it was quite tricky in places. It is very messy, it is like polished mud in places. 17. 08. 2018 13:20 4 (8 - Tänak Ott / Järveoja Martin): It was a very clean stage. I had everything good so it is going in a good rhythm at the moment. Stability is improving as well I guess. 17. 08. 2018 12:31 3 (8 - Tänak Ott / Järveoja Martin): To be honest I am not fully happy with car yet, the stability is struggling a bit in tricky places. We're learning all the time, I've never done this rally in the Yaris before. 17. 08. 2018 12:18 2 (8 - Tänak Ott / Järveoja Martin): It was a very clean run. I didn't feel too comfortable at high-speed, stability is not so nice. 16. 08. 2018 20:00 1 (8 - Tänak Ott / Järveoja Martin): It was terrible, never had that bad a super special. It is tight for these cars and there is so much understeer. I guess it must be the same for everybody because it really is terrible.